Han Fangming, born in Shangyi County, Hebei Province in 1966, is the founding chairman and chief sponsor of the Charhar Institute. 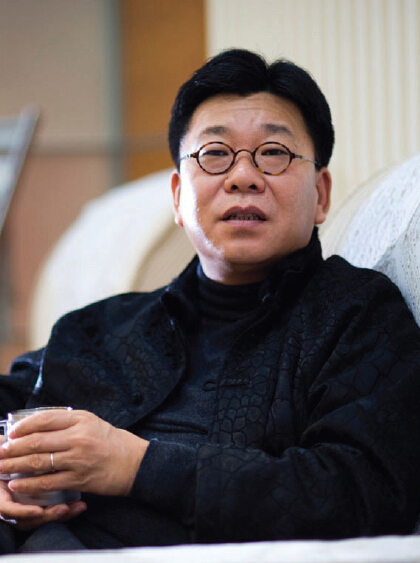 Han Fangming, born in Shangyi County, Hebei Province in 1966, is the founding chairman and chief sponsor of the Charhar Institute. He was a member of the National Committee of the Chinese People's Political Consultative Conference (CPPCC) for the 10th, 11th and 12th sessions. Currently, he is vice chairman of the Foreign Affairs Committee of the CPPCC National Committee and the deputy editor-in-chief and editorial director of Public Diplomacy Quarterly. He obtained his Ph. D degree from Peking University and conducted post-doctoral research at Harvard University. His current titles also include: council member, Institute of International and Strategic Studies, Peking University; advisory commission member, Chinese-Foreign People-to- People Exchange Research Center, Party School of the CPC Central Committee; expert committee member, Institute for China-US People-to-People Exchange, Peking University; senior council member, China Institute for International Communication Strategy; visiting professor, Tibet University; national council member, Chinese People's Association for Friendship with Foreign Countries; council member, Chinese People's Institute of Foreign Affairs; executive council member, Chinese-African People's Friendship Association; executive council member, China-India Friendship Association; council member, Forum on China-Africa Local Government Cooperation; vice president, Western Returned Scholars Association; president, Southeast Asia and South Asia Branch, Western Returned Scholars Association; vice chairman, China Overseas-Educated Scholars Development Foundation; vice president, China Foundation for Peace and Development; vice president, China Society for Southeast Asian Studies; member, China Committee on Religion and Peace. Dr. Han has nearly 20 years of experience in government relations, public affairs, risk control and other related fields. Since the 1990s, he has been a member of the board of directors of many state-owned enterprises, multinational companies, commercial banks and financial companies. Currently, he is director of several state-owned enterprises, such as the China State Shipbuilding Cooperation and Power Construction Cooperation of China. Dr. Han is a renowned scholar on international relations and Southeast Asian studies. Writing frequently for major international newspapers and magazines, he boasts a wide influence among the international media.